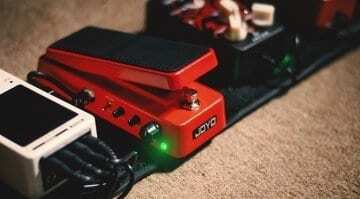 Joyo has just released two new feature-packed, compact pedalboard friendly wah pedals. 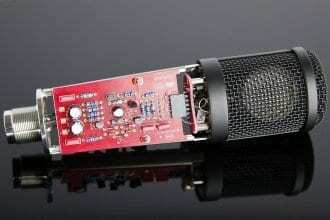 Best of all both pedals are seriously wallet-friendly and offer lots for your money. 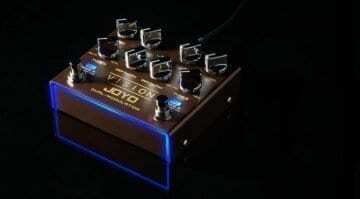 Joyo R-09 Vision: 18 modulation effects in one pedal for under $90! 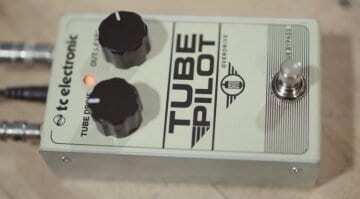 A super-affordable dual-channel modulation pedal with a staggering 18 effects onboard for $90. 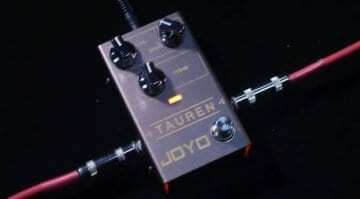 Will the Joyo R-09 Vision pedal clean up in the contest for best budget modulation pedal of the year? 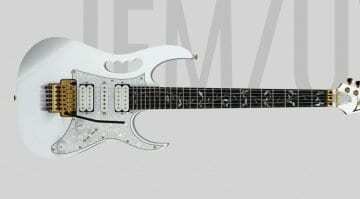 A new, slightly more wallet-friendly Premium version of Steve Vai's famous JEM guitar is being premiered at Ibanez's NAMM 2019 booth - and it screams shred! 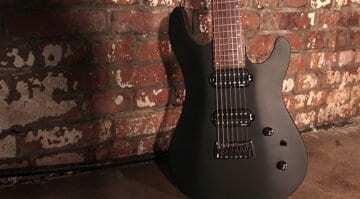 Can Cort conquer the budget baritone market with the KX257B? Looking to pick up a cheap 7-string baritone electric guitar? Loaded with EMG RetroActive Super77-7st pickups, the new Cort KX257B seven-string will command your attention. 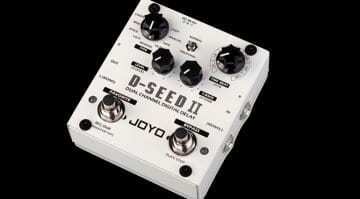 Could the new Joyo R-Series pedals be the next big budget effect range? 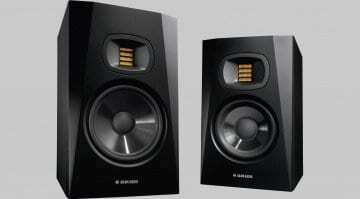 The Tauren R-01 is the first effect in the new range and could be illuminating stages near you soon. 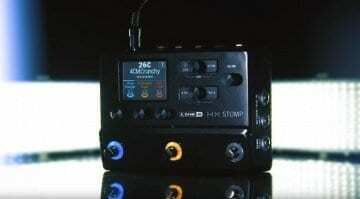 New Line 6 HX Stomp combines all the sounds and effects of the Helix range, yet manages to squeeze them into a much smaller pedal format. 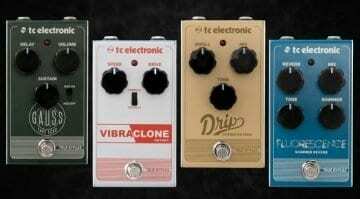 Yet another slew of TC Electronics vintage-inspired effects pedals using digital technology - we just hope they will be cheap enough to warrant taking a punt on. 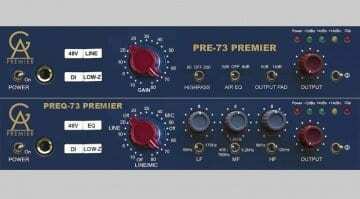 Yet another budget-friendly pedal from those crazy Danes, but please let us hope that it is not a re-badged Behringer VT911 pedal, as they were shockingly bad. 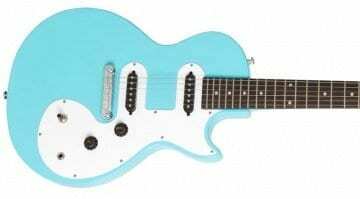 Summer NAMM 2017: Epiphone Les Paul SL for $99! 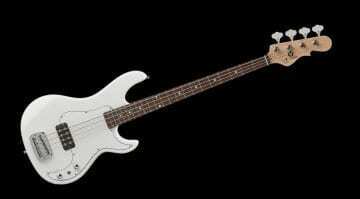 Taking Leo Fender's Kiloton bass design and making it more affordable for the masses: Have G&L made enough savings for this to be a contender in the budget bass market? 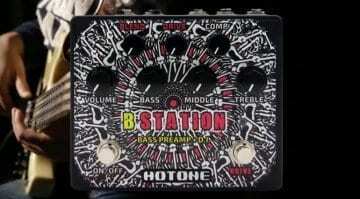 Finally available to buy 9 months after being announced, Hotones B Station is now reaching dealers. Was it worth the wait? You cannot argue with the price, at least, given the features on offer. 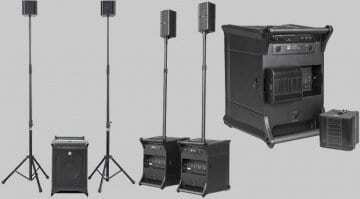 Building on their LUCAS NANO 600 and 608i portable PA systems, HK Audio introduce the 602, in turn delivering several compact stereo PA solutions.